Financing your mountain bike can be a fast and exciting way to get the bike of your dreams today. But first you need to know what to do before, during and after the financing process. Your credit score is the main factor lenders look at when determining whether or not to lend you money. You don’t want to walk into a lenders office blind and without confidence. Knowing that your credit score is very good will give you that confidence and leverage so you can get the lowest rate. If your credit score is not as high as you would like it to be, then you can correct that before hand. Any indication that you are a credit risk can mean you will pay a higher interest rate or be turned down. This will just delay your goal of getting a mountain bike. Plus knowing your score can help you to calculate what interest rate you should be paying. This way, you will know if you are getting a good rate or if you are getting taken advantage of. Before you go into your local bike shop to finance your purchase have a preapproval letter from a lender. This will help you to have some leverage when the bike shop offers you its financing terms. You can try to have the mountain bike lender beat the interest rate you got from your lender. This puts you in a position of strength instead of having to accept whatever the bike lender offers. The bike shop prefers that you borrow money from them and not somewhere else. This is because they can also earn interest on you while the mountain bike is collateral. Before getting a loan, decide how much you want to spend on a mountain bike. Prices can range from $5,000 to more than $10,000 depending on how high end of a bike you want to get. You might be able to save some by haggling with the dealer so you need to know your budget. You can also tell the bike seller what your budget is and let them give you at least 3 options to choose from. Then you can know what features they have or don’t have and also compare that to the mountain bike you really want. Maybe the higher price is worth it. You need to pay attention to and figure out what your entire monthly payments will be. Your mountain bike payment is only part of your entire monthly expense. Put together a list of all your monthly expenses and then add them all up. This will help you to know how much more you can afford per month for your mountain bike. If there is a particular bike you really want, you can figure out where it is you can cut back on your current expenses. This gives you more money to put toward your monthly bike payment. Depending on the loan, you can pay it off in 6 months, 12, 24, or 36 months. This is known as the term of the loan in your paperwork. This is how long you have until everything has to be paid back. Remember that the longer the term of the loan is, the more money you will pay in interest. The lender wants you to take a long time to pay back the loan because they will make more money in interest. Every time the lender lowers the monthly payment for you, they are also extending the length of the loan. Always make sure you know how long the loan is as it relates to the monthly payments. Website banner ads, TV commercials, radio announcements will shout that you can get 0% APR on a loan. This is for people who have excellent credit, and even if you do have super credit the 0% interest rate is usually limited to 12 months. After that you will need to pay interest on your loan. If you can afford to take out a loan and pay it back in 12 months, then there is good news. There are bike loans which do offer this. If you want to find the best deal for your bike loan, visiting a couple different lenders is the way to do it. 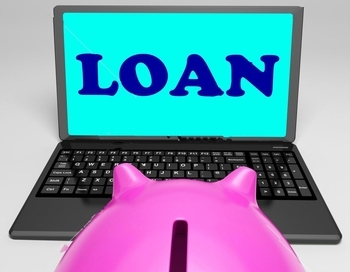 Each lender has different rates that they offer and different terms for the loan. Each time you find a better deal it is like finding a great sale you can take advantage of. Make sure to keep offer you get in mind, because then you can play one lender off of the other. This gives you some leverage and tells the lender that you know what you are doing. You can ask one lender if they can do better than the previous lender you went to. Try to visit a few lender within a short time frame because interest rates can change and so can the amount of the down payment. This also helps your credit score to stay high. If it is with in a short amount of time they will know it is for the same transaction and you will not lose many points. If you are shy or don’t like to deal with financial matter in person, then an online lender can be a quick and easy way to go. All the information they need from you can be entered right through their website securely, even your signature. It will also be less expensive to apply this way because they save money by not needing to hire many employees. This savings can be passed on to you. This is also a fast way to try multiple lenders. You can apply to many in one day. A credit union is a non-profit institution. But it still offers the same services as a bank, such as holding deposits, making loans, issuing checks and ATM cards. In order to use a credit union you need to be a member. You do this easily by opening an account with them and depositing some money. The main benefit of being a credit union is they do not pay any state or federal taxes. The main benefit for you is because they do not pay taxes, they can offer you a lower interest rate than the banks do. Definitely check out your local credit union first. Make sure you don’t tell the lender how much money you can afford to pay per month. The lender will then make you a monthly offer which is lower than what you can afford, saving you money per month. But this is wrong, the lender has only extended the length of the loan. You will actually be paying more once the entire loan is paid off even though your monthly payments are low. Be sure you first negotiate the price of the mountain bike before you talk about how you will finance the purchase. Get the price of the bike first, then you can negotiate the interest rate, and how long the term of the loan will be. The lender wants you to focus on the monthly payment because they will make more money on the interest. Stick to the full price of the bike. Let’s say you bought your last mountain bike for $5,000. You still owe $3,000 on your bike. Let’s say also your bike is worth $2,000 today. You are basically selling your bike to the lender for what it is worth and then you are still paying the difference on what you owe from your previous loan. Just keep both bikes separate in regards to transactions. If you want to buy an extended warranty, bike insurance, or to have a protective paint job done, buy it now. Don’t finance those extras, it will only increase your monthly payments. Plus you will pay more in the long run because those extras will have interest with it. The salesperson will explain that for an extra $15.00 you can have this and that. It may not seem like a lot at the time monthly, but it will add up over time. If you want any extras, just pay for them now. 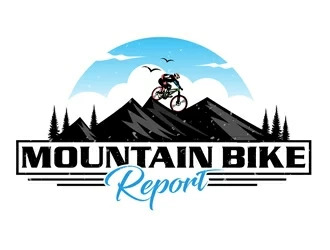 If you are negotiating for a better price on your mountain bike, or for a better interest rate on the loan and it seller does not seem to be working with you, walk away. You can’t be afraid to walk away if from a potential deal if you don’t like it. It does not matter if you are at the end of the process. If it is a bad deal then get up and walk away. A bad deal that you don’t like can cost you for many years depending on the length of the loan. If you were to default on it, then it would make it that much harder to get a loan in the future. There are plenty of other lenders around, so make sure you walk away from a deal being happy about it. Not only will it cost you if it is bad, it will weigh on your mind with every payment. Before you put pen to paper and sign on the dotted line, read through all the paperwork and any fine print. Once you think you have a good deal it is easy to get excited and hurry through the signing process. Slow down and go over everything again. Make sure you know the full price of your bike, the interest rate, and how many months long the loan is. If there is a mistake in any of the numbers, fix it right then and there. Don’t have the lender fix it later. Once you sign, that’s it. It is a good idea to have an idea in your mind as to how long you want the loan to be. The lender will try to entice you into making smaller payments per month. But this will only lead you to paying more over the long run because of the interest rate. Plus the longer the loan is the higher your interest rate will be because longer loans are seen as riskier for the lender. Shorter term loans will have a lower interest rate, even zero interest rate if it is for 6 or 12 months. Making a large down payment can help you in many ways. First the term of your loan will be shorter. Next, your monthly payments will be smaller. Finally, your credit worthiness will increase so your interest rate will be lower on the loan. If you need help making a big down payment you can trade in your old bike. Do this as long as it is paid off in full. Try and make a down payment of at least 20%. So if your mountain bike is 10k you only need to put down 2k. If your old bike is worth 1k then that takes care of 50% of your down payment. When I first heard about early penalties, I thought that is crazy. How can there be penalties when you pay back the money you owe early. Isn’t that what the lender wants. I was wrong, there are certain situations where this is not the case. Sometimes the lender has a special low interest rate for a certain amount of time provided you complete the full term of the loan. This guarantees the lender earns a certain amount in interest. If you pay your loan off early, then it was not worth it for the lender to lend you money at a special low interest rate. Another case is when a bike dealer offers a rebate on a bike. The dealer wants you to finance a particular type of mountain bike. When the term of the loan is complete you will get a rebate coming to you. If you pay back the loan early you won’t get the rebate and there may be a penalty. Many mountain bike manufacturers will offer bike deals on slower selling models. Or towards the end of the year they will make these offers in order to sell off this years models in order to make room for next years models. Two of these types of deals are cash back and financing incentives. Make sure you calculate and compare the numbers on these deals. With low interest deals, make sure you know the term of the loan. You may be getting a lower interest rate but maybe the length of the loan is longer. Don’t decide until you add everything up and get the final numbers. For a cash back deal, take away the cash back amount from the bike price you negotiated. Then make sure to calculate the interest and how long the loan is. Maybe you get $500 cash back but the interest is a little higher which offsets the cash back amount. Calculate the loan with cash back and without the cash back. Then you will see the real picture. This is very important because if you are not paying attention you can get scammed. Some bike shops may have managers that may lie about your credit score if you leave it up to them to get your credit score. They might say that your credit score is lower than it really is, so then your interest rate will be higher. Make sure you get your credit score yourself, and then you bring in your credit score as proof that you have good credit. Some unsuspecting innocent rider may go into a bike shop unprepared. They don’t know their credit score and have the bike shop manager or lender get their credit score for them. They can now easily print out a fake credit score and the buyer would never know the difference because they were unprepared. Know the lender will have a reason to increase the interest rate. Don’t let that be you. Use a proven credit score service like Equifax and or Experian. Now that you know the information above it should be very easy and fun to get a loan for your mountain bike. Just prepare ahead of time and pay attention during the process and you will get the best deal for you and your bike.